It's not easy being Mäni's. 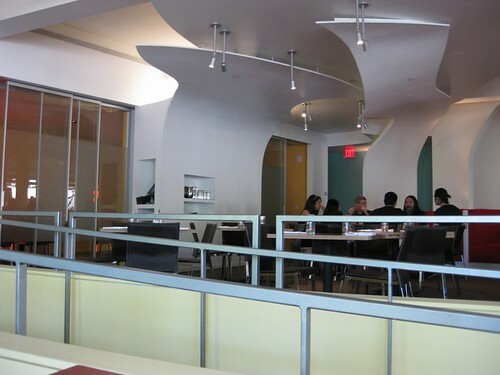 When the café first opened in 1989, it was a rarity, one of few places serving high-end, semi-healthy fare. It may have been the first time I tried a archetypal Los Angeles salad, the stuff on which we Californians are said to subsist: fresh greens, grilled chicken breast, avocado, sprouts practically overflowing a bowl the size of a football helmet. By 2008, with so many restaurants offering market-driven menus and house-made baked goods, Mäni's no longer seemed so unique. The economy was no help. 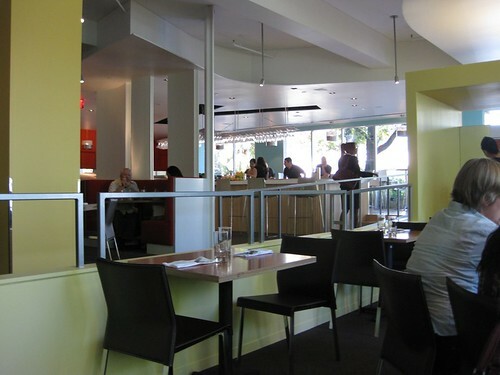 At its peak, Mäni's had multiple bustling locations, the last of which, in the Fairfax district, closed despite owner Larry Maiman's pleas. In early October, the retooled Mäni's on Maple opened -- not as a charming, slightly crunchy-granola café but as a glossy corporate cafeteria. It was like your favorite indie band had signed to a major label only to churn out a slick, watered-down greatest hits album. The menu has been slimmed down. Gone is my favorite breakfast, the delicious Bird's Nest: eggs atop potato pancakes, a funky take on the classic eggs-and-hash-browns. Mäni's still has the multi-grain waffles and pancakes, the mighty salads, the comforting sandwiches. 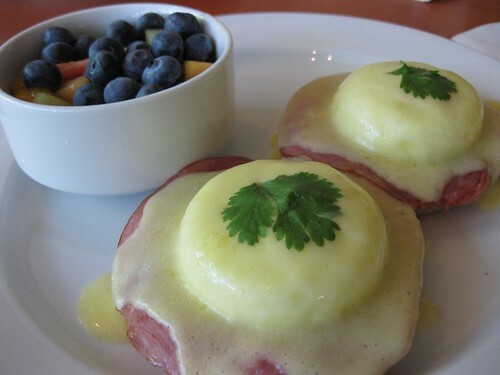 The eggs in my Eggs Benedict were perfectly poached; the Hollandaise sauce was creamy with a hint of citrus. The dressing on the Cobb salad was light and fresh. What they do make, they make well. The problem is what's missing. The tantalizing pastry case was what made Mäni's so appealing. (Oh, for one more slice of their heavenly strawberry cake!) Their pies, tarts and cakes can be ordered but gone are the post-meal impulse buys. Instead of a pastry case, Mäni's on Maple offers a sparse platter of baked goods awkwardly placed near the entrance. 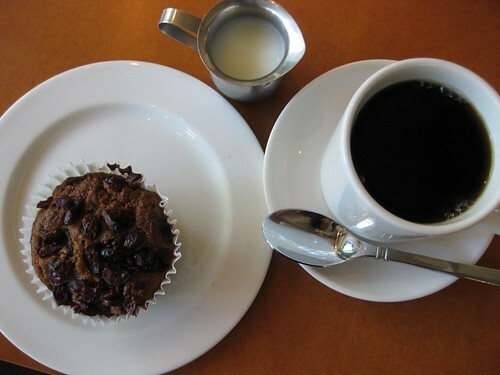 A few muffins and cookies, unappealingly presented -- I mistook it for a tray one of the waiters had left behind. The pumpkin cranberry muffin, something I imagined Mäni's would hit out of the park, was dense and dull, riddled with stiff, dried cranberries. I can't fault Maiman for trying something new, especially in this economy. Mäni's on Maple may win new fans with its bar and generous happy hour, but for now, it has no life of its own. It only conjures the spirit of its former self.